Does the non drive side fit? 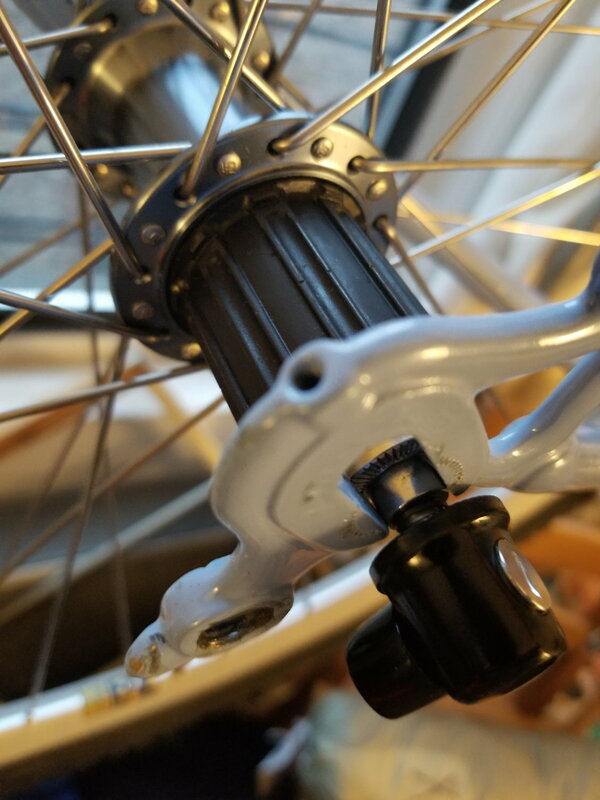 What model 105 hubs are they? You need to do some gentle work with a file, making sure you don't remove a bunch of metal from the top of the slot since the top of the slot rests on the axle and thus holds wheel alignment in line with the vertical plane. Agreed. Is it just thick powdercoating? If so you might not need to file off metal. I took a gentle nail file to the powdercoat and now it fits! Didn't even get all the way through to metal. Glad to hear you fit the hub without any headache! Looks like a great build you’ve got going on. And now, step closer eh? I’m interested in that plumbing pipe repair stand. If you wouldn’t mind, I’d love to see a clear photo of it! Unfortunately I can't recommend it. Ended up being fairly pricey to assemble for minimal payoff. The clamp scratched the powder coat so now I just have the bike kind of lashed to the thing with rubber bands. Ah, so not really worth building! I appreciate your honesty about it. I have a good stand, but was thinking it’d be helpful to have another for times when I need to get two bikes off of the ground. Going off of your report, I’ll hold out for a deal on something manufactured. Btw, I hope you keep us updated on your project! Will do! Right now all that's really left to get it running is to bang out the headset cups and press in the new ones (currently delayed in the post) and install the cockpit/cabling. Currently deciding between my Nitto Noodle and a Soma Portola I picked up for the handlebars. I don't love the awkward brake angle/limited bag room on the Portola, but I'm worried the Noodle won't offer enough leverage for the very occasional singletrack along some of the routes I've got planned. 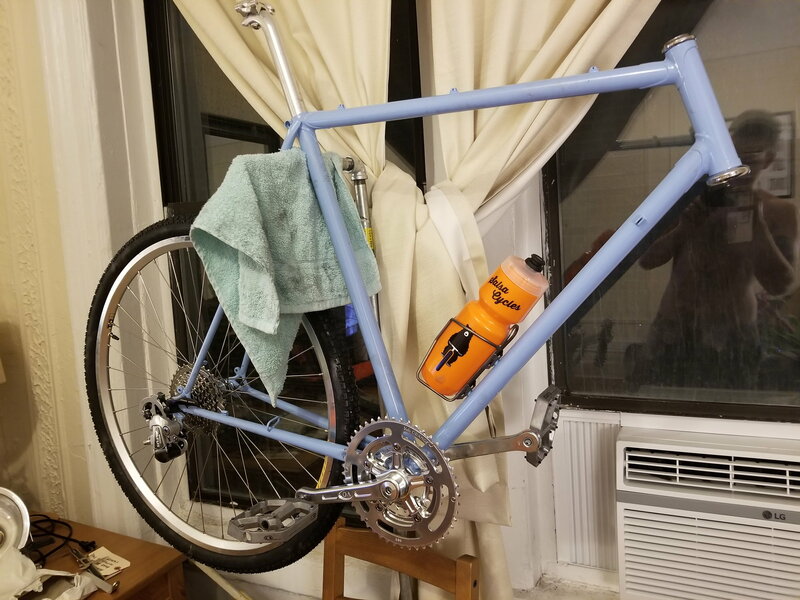 Once my Sinewave beacon arrives I'll be all set for some truly off the grid gravel touring on this 37-year-old frame, even if the components list is a bit sacrilegious for vintage purists.